From emerging social media apps to Facebook ad impression growth. From search engine spends to CTRA and CPC baselines. From emerging ad products like shopping ads to the habits and behaviors of effective digital marketers. 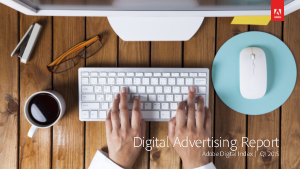 The Adobe Digital Index covers so much of the digital advertising industry, with insights from social media, search engine marketing, and more.